Yep, THIS family photo looks more like my life at that time! I remember one particular Sunday when sitting on a pew with our 3 crazy kids was enough to send me over the edge. I left the kids with my husband for the rest of the meetings and came home early. When I walked in the door, I couldn’t hold back the tears and fell to my knees and sobbed. Then I got really angry and raised my fists to heaven. Then he patted me on the back and sent me out the door. My thoughts were, “Ok DOC! Sure thing! Because I just KNOW that my very understanding and loving crew of minions back at home will totally be willing to cut me some slack! Evidently PLAYING with Breakfast is a whole lot funner than EATING it! Nope! The only thing on their minds was who was going to cook their chicken nuggets, wipe their bum, and find the remote so they could watch Netflix! 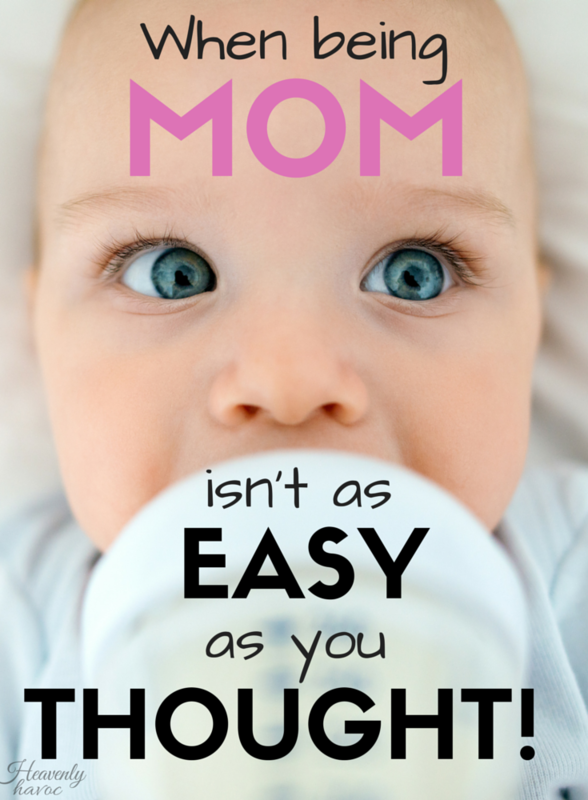 All joking aside, motherhood is just hard. Really, really hard! If you think it’s just you, think again! I guarantee you that your picture perfect neighbor who claims their child can read at the ripe old age of 2 or the mom next to you in the carpool lane that is already dolled up for the day (at 7 am) are struggling too! Outside our homes, we pull it together and try to put on a happy face regardless of how hard life can sometimes be INSIDE the home. This kid would swing all day if I had a robotic arm! I will tell you something else! INSIDE the home, as tough as it may get, is also where your greatest joys will come. You know what I’m talking about, don’t you? It’s the satisfaction that comes from reading to your child before bed or hanging that ridiculous scribble on your fridge that they are immensely proud of! It’s the satisfaction from knowing you are there to comfort them when they are hurt, or being there for their first steps, their first day of school, braces or whatever else may come! And then there is checking on them before you go to bed and seeing their sweet faces as they sleep. Regardless of the monster they were during the day, you love them, don’t you? You love them with all your heart, mind and SOUL! You would do just about anything for that little human that absolutely turns your life upside down each day….and THAT is why Motherhood is so hard. Not because it is a horrible career, not because we have been ‘tricked’ into a lesser life. We do what we do because we LOVE, because we CARE. We LIVE outside of ourselves each and every day, even though the little children we care for are oblivious of our service or the sleepless nights. God has blesses you with your children because he knew you were the perfect one for them! Don’t give up! May your mornings be bright (even with no sleep) and your heart be full! Keep up the good work MOM!